Casey Coleman is senior vice president of Global Government Solutions at Salesforce, where she is responsible for enterprise positioning and solution strategies for government customers worldwide. Before joining Salesforce, Casey served as chief information officer at the U.S. General Services Administration. There she led several modernization initiatives, including the first agency-wide move to cloud-based email and collaboration platforms. Casey chaired the federal CIO Council’s Cloud First committee that developed the FedRAMP standard for cloud cybersecurity. 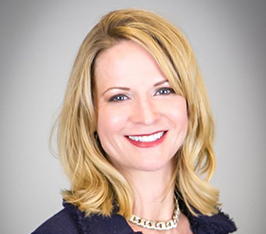 Casey began her career as an engineer with Lockheed Martin and has held sales, consulting and management roles at several technology startups focused on the enterprise IT space. Casey holds several honors and awards from various organizations, including the ComputerWorld Premier 100 Award and the MIT Sloan CIO Symposium Award for Leadership in Innovation. She is a three-time winner of the Federal Computer Week Federal 100 Award. Casey holds an MBA in Finance and International Business from the University of Texas at Arlington, as well as a B.S. in Computer Science from Texas A&M University.